COLE, JOHN, Canadian fur-trader; b. in New England; killed 22 April 1779 in the Eagle Hills (south of Battleford, Sask.). Graham had always opposed the establishment of inland posts by the Hudson’s Bay Company, but Corry’s post at Cedar Lake had cut deeply into York’s fur returns. In one instance Corry had side-tracked 125 of the 160 canoes that Louis Primeau and Isaac Batt were bringing down to York. Describing the pattern of Canadian trade, Cole easily persuaded Graham that “nothing will do but the establishment of a Settlement Inland.” He declared that he would engage to conduct large loaded canoes up the Saskatchewan River in 40 days, and he got from Graham a contract for £12 per annum, twice the usual starting rate. He was then sent inland to recruit Bove and to bring down to York two large birch-bark canoes; he had insisted such canoes were essential for inland settlement, but materials for them did not exist as far north as Hudson Bay. Cole spent the winter of 1772–73 inland and reappeared at York Factory in the early summer of 1773, with neither Bove nor the canoes. Sent inland once more to the Saskatchewan, Cole deserted back to the Canadians. The details of his further career are uncertain. In July 1776 he was reported to be serving as an interpreter for some pedlars who were building a post upstream from the HBC’s Cumberland House (Sask.) on the Saskatchewan River. Farther upstream, on the North Saskatchewan River three miles above its junction with the South Saskatchewan, he constructed for Booty Graves a post that was never used. Cole subsequently remained in the upper Saskatchewan area. By 1779 Cole was apparently in the employ of Peter Pangman*. At this time the Indians were suffering from ill treatment at the hands of some Canadian traders in the upper Saskatchewan. In the autumn of 1778 the traders at the upper settlement in the Eagle Hills had killed an Indian by administering a dose of laudanum in his grog. Cole himself certainly had lost the respect of the Indians which Graham had claimed for him, for Peter Fidler* was later to describe him as being possessed at that time of “a very irriscarable Temper, & frequently ill using the Natives without any just cause.” The Indians returned the next spring and, in an argument on 22 April with the Canadians over a horse, one of them shot and killed Cole and another trader. Docs. relating to NWC (Wallace). HBRS, XIV (Rich and Johnson); XXVII (Williams). Journals of Hearne and Turnor (Tyrrell). Morton, History of Canadian west. Rich, History of HBC, II. 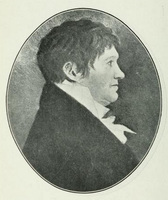 E. E. Rich, “COLE, JOHN,” in Dictionary of Canadian Biography, vol. 4, University of Toronto/Université Laval, 2003–, accessed April 21, 2019, http://www.biographi.ca/en/bio/cole_john_4E.html.